Poems about Trains … for Kids. None of us needs to be reminded that the Internet has changed things. One of the biggest changes is how products and services are marketed. For instance, I am frequently approached by marketing types volunteering to submit a guest column for this site. Others want me to promote their client’s product here. As a former-now-retired advertising guy, I give at least a cursory review of whatever they’re promoting, but I rarely—very rarely—accept and use their material. But here’s one of the rare exceptions. I’m assuming that most of you out there have young kids or grandkids and that they are at least moderately interested in trains. 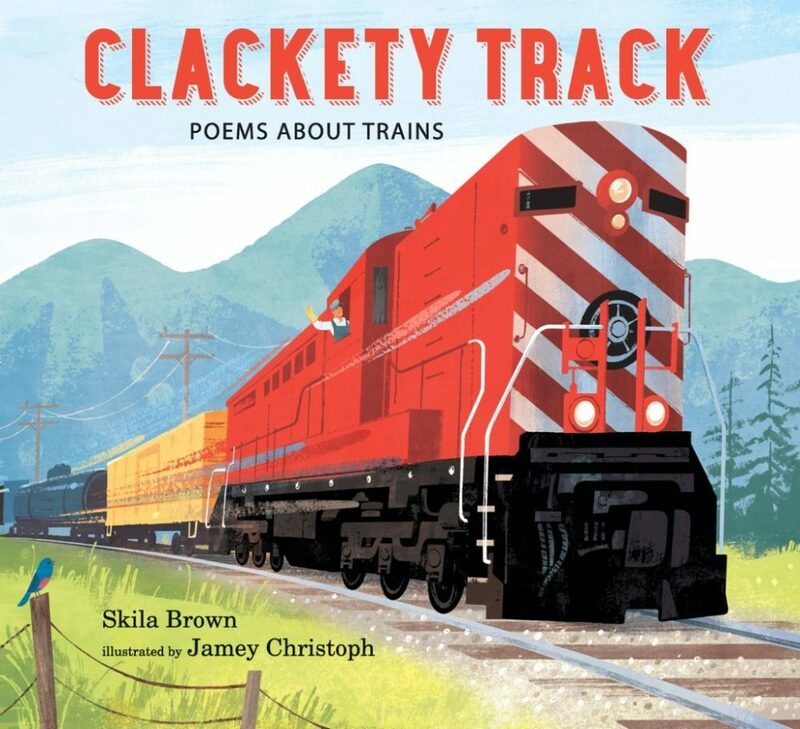 It’s with them in mind that I am suggesting you might want to consider Clackety Track, a nicely illustrated book of poems about trains. 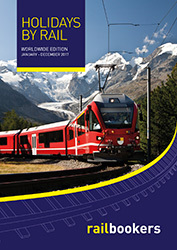 What I particularly like about this book is how, as you progress through it, the author uses the poems to explain about the different kinds of trains—passenger and freight, commuter and sleeper—but there are also a few pages of “train facts” that somewhat older kids will find interesting. The author is Skila Brown, the illustrations are the work of Jamey Christoph, and the publisher is Candlewick Press. 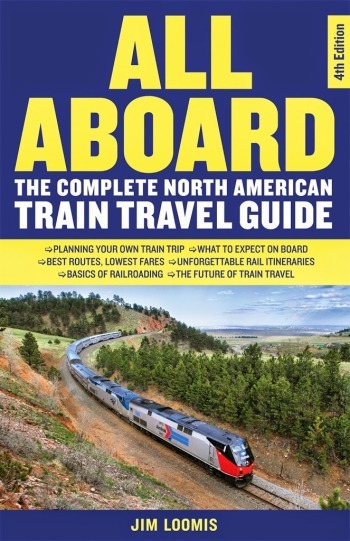 If the book is not available at your local bookstore, you can order it from Amazon.
. . . You'll receive rail travel news alerts, valuable discounts from Amtrak and other travel-related companies, plus many other benefits! Click here to learn more at the RPA website. Planning the details of a train adventure can be an intimidating task. 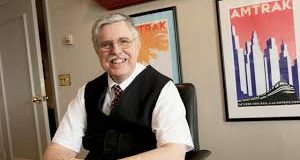 If you need help, I highly recommend Railbookers, which offers an impressive portfolio of train journeys to destinations across Europe, the US, Canada, and beyond. Visit their website to explore independent itineraries or have their expert staff build your own tailor-made trip from start to finish by adding extra nights, sightseeing tours, and flights. Please note: This notice contains "affiliate links," which means there could be some small compensation for me if you click the links here to go to the Railbookers site and use their services. 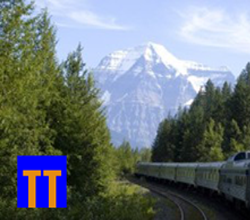 Railbookers has handled all the details for three extensive itineraries for me and I recommend their services without hesitation. For specifics on those experiences, feel free to email me directly. A Memorable Ride on VIA. Houston, I’ve Got a Problem. 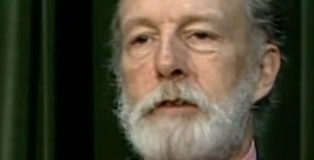 Studies Ruled by Political Philosophy. 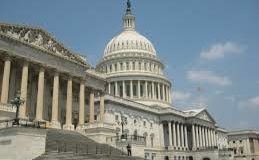 What Congress is Really Like. Dealing with the Late Train Issue.